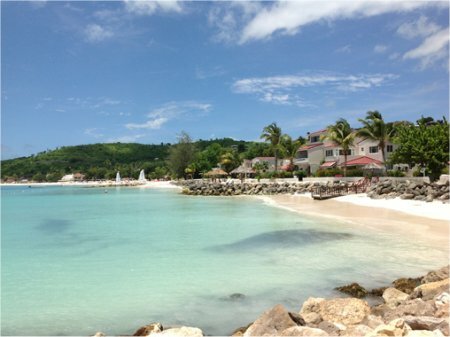 at the Antigua Village Beach Resort! 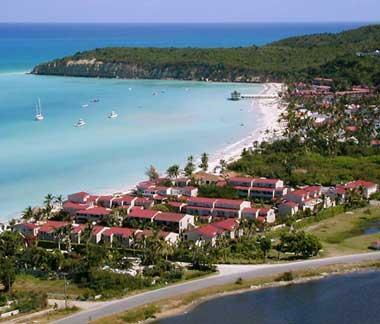 Antigua Village was developed on the site of a coconut plantation situated at the ocean's edge on Dickenson Bay, one of the best beaches in Antigua. 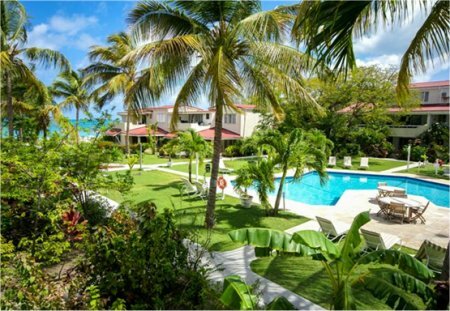 It is a collection of exclusive, privately owned apartments set in beautiful tropical gardens. Some are ground level, others are second floor, and there are a few third floor studio apartments around the pool. The apartments vary in size. Each is furnished, equipped and decorated to the individual taste of the owner. 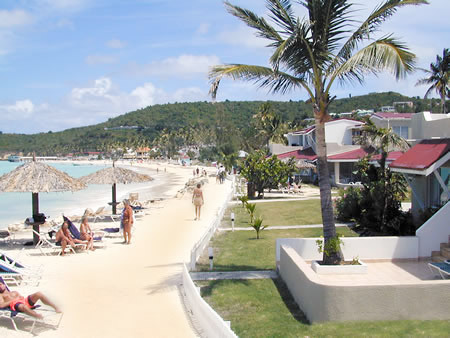 The village is 20 minutes drive from the airport and 10 minutes from the capital, St. Johns. Two story buildings surround attractive planted gardens adjacent to the sea. Facilities include a kitchen for self catering and it has more of a community spirit than a regular hotels. Accommodations will be provided in a studio unit with ONE KING bed which sleeps 2 comfortably. There is a Tax and service charge of $295.oo per room for 7 Nights Stay.